No t needed to be math wiz to know communism like socialism, no different one feeds on other. Good idea like ban loud motorcycle, but don’t work, still have forever loud motorcycle – can’t fix. Caution the creap of Socilaism, owns you. Read Mcrae story below -he tells you. Here is more food for thought with remember when? Remember when Jim Prentice said Albertans needed to look at themselves in the mirror? Who “they are”, are people who realize that 1.6% (GHG/CO2) does not allow Mckenna to create an emergency that does not exist, without questioning the idiocy. what j57 overlooks, as do the lot of the other backward folk that feel the cons are always the only party to support: every party runs the economy into the ground. they each leave us working stiffs the poorer, year over year, term over term. yes, look at the numbers. debt at every prov’l level increases year over year, term over term…and it does not matter what the name of the friggin loser party is. debt at the federal increases year over year, term over term. the federal debt even ballooned under the “great money manager (not)” harper during his 10 years of dictatorship. how does one not wish to acknowledge that very gov’t exists to keep the masses limp, so it it easy to legitimise the theft of our money. they each make grand promises during election campaigns they do not keep; and they each plough through bills that were never discussed during election campaigns, thus, they institute significant legislation for which they were never given a mandate. only idiot fools will bicker over which is the better choice of sleazy thieves to oversee the theft of our money; and only idiot fools will buy into this fake de-mock-cracy; and only idiot fools will see their vote as anything more useful than legitimising the entire charade. let us consider this, too: how often through history has the person/group that signed off with an “x” come out ahead? you want to vote for “change”? destroy your ballot, and cast a loud vote for democracy. Why then biff why is there so many people here from next door? (Saskatchewan). Let me guess… they think we are greener that them right! Or is it they all have become economic refugees under a typical province wrecking NDP government! You tell me please! Great play biff, the old “Can’t stand the heat get out of the kitchen” card. The reality of the mounting evidence reveals the depth of depravity and accompanying Machiavellian attitude. Machiavellianism in psychology refers to a personality trait which sees a person so focused on their own interests they will manipulate, deceive, and exploit others to achieve their goals. Johnny and Dennis are the guys who would vote for a bail of hay if it was on the ballot. d.b – haha! a good thought 🙂 too bad law would not limit each to one term, and no pension…gold plated at that. perhaps we would all be better served by a pm or a leader for a day, rather than the slew of bums we get.anyway, the evidence is plenty and the history is long that should make it clear destroying one’s ballot is the best one can do at this juncture. jonny57 your are wrong, you once again demonstrate your failure to be adequately informed before you comment on subjects on these forums. The NDP governments have been by far the most fiscally responsible in Canada. That is not to say there have not been some notable exceptions, but overall the results and records prove your claim is highly exaggerated, indeed ill-informed. The NDP government records are better than both the Conservatives and the Liberals, as well as both Social Credit and PQ governments. Toby Sanger has compiled evidence for many years from Finance Canada Fiscal Reference Tables and the Statistics Canada Cansim Tables to repeatedly develop reports that provide evidence to support this record. Take the time to acquaint yourself with those official records and/or simply research Sanger’s name online to find articles where he makes the reading rather easy for anyone to understand, complete with charts in some cases. One barely has to lift a finger to stay informed. As far as the economy use to be there my info comes right from the grass-roots themselves..The thousands of people from Saskatchewan that come here-a healthy portion of which i get to talk to in my job. The story is always the same! RR maybe YOU need to talk and acquaint yourself with many of these hardworking economic refugees from our neighbour. Instead of relying on fake and very manipulable data from questionable sources. As far as them balancing budgets i would think it would be the exception rather than the rule. Tris, the migration of thousands to be employed in Alberta isn’t “anecdotal evidence”. It’s fact. I had a look at Sanger’s numbers, and find them to be meaningless. The report does not include the important factors such as majority or minority government, time frames, the deficient amount when the new party took power, commodity values at the time, and most important, HOW the balance was achieved. Sheesh, and I found all those flaws with just a quick glance at the report. The report is a classic example of, “truth by omission”. This type of report is always authored by a person with bias and/or a vested interest in one way or another. Seth I suggested Sanger’s reports as they were neatly condensed and do provide graphs for rapid recognition of relevant key parameter’s. As Tris contends few people are willing to go any further than “anecdotal” references for comments on these forums, which is exactly why I offered my original submission: Data, facts, are collected and with little effort in this modern world of information can be consulted for far more accurate information to base ones decision. jonny57’s comment that statistics collected by the government of Canada year upon year in an non-partisan manner are “fake” speaks to his intellectual abilities and I realize that my attempt to communicate, to offer any “education” was wasted no matter what evidence was offered. If one does wish to study the details you suggest be considered, then these items can be sourced through the government databases and statistics that even Sanger includes as references/sources for his findings. However I recognize that very, very few people are willing to take that effort. If “anecdotal evidence” is the standard for voting decisions, then it is hypocritical to whine about unemployment in Alberta when there are many among us who will tell you that their place of employment rarely staffs a full shift due to a lack of people applying for positions. Local UCP candidate Karri Flatla was filmed recording a complaint about the unemployment situation whilst standing in front of a large banner in the background loudly stating: “Now Hiring”. Based on that visually anecdotal evidence I can conclude that Karri Flatla is quite the obtuse individual, a poor candidate for managing the governance of our province, and it makes it easy for me dismiss her from consideration for my vote. Based on anecdotal evidence, it is not jobs that are lacking in Alberta, it is a lack of “work ethic” that is unfortunately absent. I stated that the NDP election would adversely impact our of living and each of our lives. Now that Notley and the NDP are campaigning for re-election, after 4 years in power, prudent voters need to examine the NDP record before marking their ballots on election day. I will not try to unduly influence your vote, but it is my hope that you will review and understand the facts set out below and make an informed decision in the best interests of your family, city and province on election day. Over the last 4 years Alberta’s net financial assets have decreased by $47 Billion. During that period the equity in Alberta housing has decreased by an estimated $27 Billion. Based on a population of 4.3 million, that means that every man woman and child is on average $15,000 poorer today than in 2015 – $60,000 for a family of four. In 2014, 431,000 individuals were employed in the resource sector while 467,000 were employed in education, healthcare and public administration. (all numbers from Statistics Canada). In late 2018, 401,000 individuals were employed in the resource sector while 551,000 were employed in education, healthcare and public administration. During that period the public sector added 84,000 jobs (18%) while that portion of the private sector shrank by 7%. The government’s share of total employment is now 23.2% – the highest in decades. Corporate and personal income taxes (provincial & federal) have increased dramatically and we now also have a carbon tax which was not mentioned in the NDP’s 2015 campaign. Even after 4 very tough years, the cost per capita ($12,717) of delivering Alberta’s government services, continues to be 14% higher than the average cost for the 4 largest provinces. No attempt has been made to reduce those costs or otherwise balance them with the vastly reduced revenues experienced during the downturn. When the NDP took over in 2015, Alberta had no provincial debt. The debt is forecast to be $71 Billion next year and is projected to grow to over $100 Billion in the next 4 years, IF the NDP are re-elected. What About all of the Other Social and Non-Financial Issues? Healthcare wait times? Average class sizes? New schools & hospitals? Environmental stewardship? Human rights? Personal freedoms? Commitment to the arts? The rights & freedoms of the LGBTQ and other defined groups? Other social issues? If the economy is not strong, the budget not balanced and the debt not brought under control, the province will not be able to afford to adequately deal with those issues. Our standard of living, which has already materially eroded under the NDP, will continue to deteriorate. Societies that put their financial house in order first have the flexibility to address the other needs and wants of the citizens. The extreme example of a country that followed the spend/borrow/tax/repeat path can be seen in the disaster that is Venezuela today. Who will have to pay back the debt? My generation will not be around to service the interest and repay the massive debt that your government has incurred. That burden will fall to my children and their cohort and to the children of that group. Interest on the debt, together with repayment of principal, will become an increasingly more painful annual cost which government can only fund with increased taxes – a vicious downward spiral. I am very proud of the fact that each and every one of you understands how to budget responsibly and that you are committed to living within your personal means. The Alberta government forecast says they will run another $6.9 Billion deficit this year, which means they will have to borrow those funds at ever increasing rates because the province’s credit rating has been materially impaired. The federal government’s aggregate deficit under the Liberals since 2015 is $60 Billion and the recent budget confirms they are planning to run further deficits totalling an additional $66 Billion over the next 4 years, IF re-elected. Do you think it is time for the Alberta government to exercise the same level of financial discipline and prudence that each of you is required to demonstrate in your personal lives? I am hopeful that your answer to that question will guide your decision at the ballot box on April 16th. One part of the evidence that voters should consider is that there are less people employed in private industry today than there were four years ago !! So much for the NDP claim that they are working hard for working Albertans . What a joke, except that it is certainly not funny if you don’t have a job anymore !! “Notley had a choice. She could have taken action against the Rockefeller Brothers Fund. Notley could have defended Alberta and, indeed, all of Canada. She didn’t. Well that’s exciting. Will he get to milk it too? December 3, 2018 – “A second executive with the Alberta Energy Regulator is billing the organization for travel expenses because the person is living in B.C. The AER tells CBC News its board of directors wasn’t aware of the situation. The AER is the single regulator of energy development in Alberta — from application and exploration, to construction and operation, to decommissioning, closure and reclamation. Since May, Jennifer Steber has expensed flights, taxi trips and other costs to go to work at the AER from her residence in B.C. Her expense claims also include mileage on her vehicle driving from her B.C. residence to the Penticton airport in B.C’s Okanagan Valley. Steber is part of the executive team at the AER. … According to the regulator, Ellis authorized Steber to file expense claims from her residence in B.C. … There is no indication from her expenses about where in B.C. she lives, however a property registry search shows Steber is listed as one of the registered owners of a house in Osoyoos, located 60 kilometres south of Penticton. The AER lists Steber’s salary as $373,547 in 2015. November 2, 2018 – CALGARY — The president and CEO of the Alberta Energy Regulator (AER) will resign from his position, the organization said Friday. Jim Ellis will leave the job on Jan. 31, 2019, a decision that has been ‘in the planning stages for the past several months,’ the AER said in a press release. In a statement, AER chair Sheila O’Brien said Ellis’ ‘leadership and strategic vision’ have been crucial for the regulator, which oversees the development of oil, oilsands, natural gas and coal projects in the province. The Alberta Energy Regulator is suing a consultancy launched as a side project by its former chief executive, seeking to recover millions of dollars from an entity already under investigation by the provincial Auditor-General and its Public Interest Commissioner. The industry-funded watchdog is seeking $2.67-million in the suit, alleging unpaid bills tied to a licensing agreement the AER struck with ICORE Energy Services NFP, according to a statement of claim filed in the Court of Queen’s Bench in Calgary. The action is the latest fallout from the sudden resignation of former AER president and CEO Jim Ellis, a one-time military commander who held the job for five years before stepping down late last year amid criticism of the regulator’s oversight of oil-industry liabilities. The AER announced his departure on Nov. 2, the same day Public Interest Commissioner Marianne Ryan informed Mr. Ellis that her office had initiated an investigation into allegations of wrongdoing related to the AER, according to a copy of the letter obtained by The Globe and Mail. ‘The allegations relate to the use of public funds, public assets and AER human resources to establish and support the operation of the International Centre of Regulatory Excellence (ICORE), a non-profit company established by you,’ Ms. Ryan said in the letter. Auditor-General Doug Wylie is also probing the relationship between the AER and ICORE, which was launched by Mr. Ellis in February, 2017, with plans to advise other countries on regulation, starting with Mexico’s newly liberalized energy sector. The consultancy struck a licensing agreement with the AER in April, 2017, under which it agreed to reimburse the regulator ‘for the use of the AER’s staff, resources, information, instructors or property related to the delivery of training course to third parties,’ according to the claim. The AER has said it severed the relationship last December for undisclosed reasons. According the claim, ICORE did not pay invoices for in-kind services totaling $2,671,241.08. The allegations have not been tested in court and ICORE has not filed a statement of defence. EXCEPT, the report ignores said “relevant key parameters”, then has the audacity to claim a conclusion. The rest of your post was a diversion away from my findings. Anyway, on this forum, the replies to my queries generally consist of irrational name calling, ludicrous accusations, and irrelevant ramblings. In other words, nothing of substance, and no actual rebuttal. So, you’re a breath of fresh air in that you actually replied in an intelligent manner. It’s simplistic to just outright ignore anecdotal evidence. For example, if 10 people took a particular pill, and 9 of them said it made them feel depressed, would you simply dismiss their position as anecdotal and therefore meaningless? I think not. Let’s also keep in mind that “facts” aren’t always infallible. Numbers can be skewed. In that thread, both you and Tris replied to me, but both of you claimed things toward me that I did not say, or reference. I didn’t say we shouldn’t diversify. In addition, diversification has NOTHING to do with my point. The remainder of your reply consisted of your proverbial haphazard and irrelevant ramblings. I am far too busy just now to review all of the arguments and inputs, but my memory is that both Tris and I referenced the Fraser institute… and you claimed that you never quoted them. I, and I believe Tris too, were referring to the fact that a study you provided a link to used the Fraser Institute as a source or the author of that study? I realize that Sanger cherry picked his factors to develop his graphs… you pretty much have to do same to produce a graph/chart that is not overly cluttered, or at least beyond the ability of the average consumer to comprehend. That as I suggested was exactly why I recommended Sanger’s work. There are other authors through the years that I have read who drew similar conclusions, but their work was more for the peer reviewed or passionate economic analysis audience… certainly not something that individuals such as jonny57 appear capable of understanding, nor willing to spend time learning to interpret. Just sayin’. I was making the best effort I could, with the time I had at hand, to convey this information without causing folks reading the forum to become quickly jaded with an overkill of references and articles to review. I well know that anecdotal evidence can prove to be not simply more accessible, but even more plausible evidence. I have relied upon it with great success in my various careers. I will argue that anecdotal evidence has stimulated much great scientific study and invention. 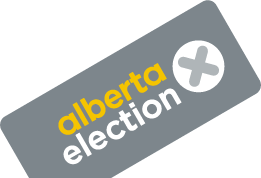 I have used it with great effect this election cycle to determine for my personal opinion that the UCP party leadership and candidates are bigots, dimwits, shady, untrustworthy, two-faced, fickle to the point of Monty Pythonesque farcical (Jason Kenney will easily score a lead role in a Canadian version remake). I wouldn’t elect these fools to my Ministry of Silly Walks. They could not cope with even that task. No, I didn’t reference anything in regards to education. I did however post a link to a different Letter to the Editor. That letter contained 3 or 4 replies (including mine) in regards to education reform. Fair enough explanation Seth… I accept the fact that I failed to differentiate that point reasonably. This thought causes me to reflect: I doubt that I could even come close to the remarkable job that Rachel Notley and her crew have managed… seriously few brain farts given the incredible burdens they inherited, the shredded documents they had to glue back together, all of the right wing threats and daily stress they have endured, and the immense amount of data that these people have managed to review and react to in only three + years. In comparison, Jason Kenney didn’t even have a well-thought out education policy developed with all of the lead time he has had, nor could he even do the math regarding his explanations of the carbon tax costs of driving his Ram truck about the province… for far more hours than he possibly could have as claimed. Will Callaway step in to pull things off for him again? It is that which I would like your opinion on, if you feel inclined. BTW- Quest for the Holy Grail and The Life of Brian for the win lol. I will try to get to that tomorrow Seth. Just now as I checked for your response called away to handle a more important family request.